Abram R. Katz, ONTASC Teaching Consultant and Program Director. Katz grew up moving back and forth between his mother, an ESL teacher/ naturalist, and his father, a real estate agent/ shamanic healer. Katz was a quiet, introverted child, spending many afternoons immersed in the creative process - drawing pictures, writing stories, building entire cities out of Legos. Katz clocked countless hours of deep self-exploration. 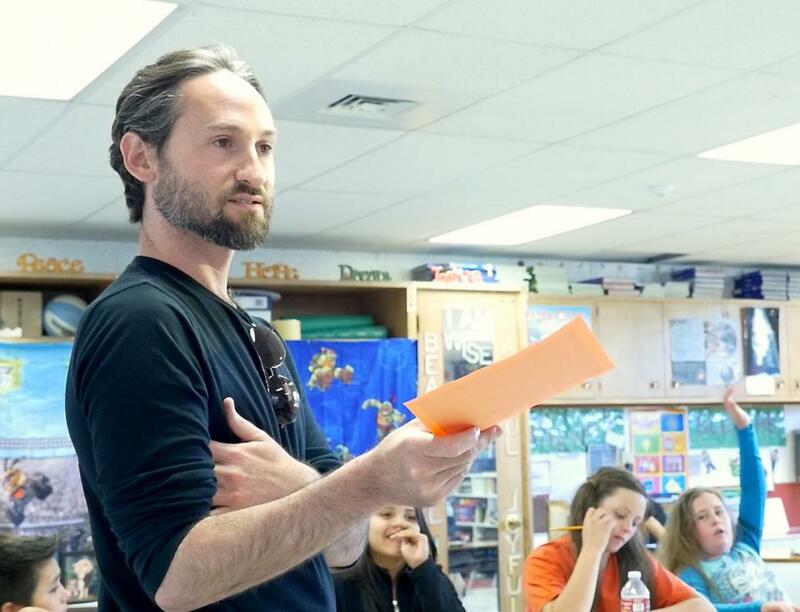 As a teacher and consultant, he draws from this well of experiential knowledge to relate to students and help schools connect to the communities they serve. Katz’s high level of innovation creates unique opportunities for teachers to collaborate with their students and the local community, engaging everyone in the learning process, and bringing much-needed awareness of our shared experience. Katz's strength lies in his ability to assess the passions and challenges of diverse communities, and respond with dignity and inclusivity. Katz is committed to positive change through youth development and school-community partnerships. Katz is the co-founder of Indigital Kids, a SF Bay Area educational non-profit, where he brought expressive arts to underserved populations from 2005-2010. In 2008, Katz earned his B.S. from Expression College for Digital Arts, in Emeryville, CA. Katz is a focused, responsible, kind-hearted man with strong vision, and a unique ability to create art out of the human experience. Katz works closely with higher education institutions, offering teaching internships for pre-service teachers, and teaching consultation for graduate students and K-12 teachers. Katz currently lives in his hometown, Ashland, Oregon. He's still creating new, magical worlds, but now, instead of using Legos as his building blocks, he's working with youth, education and society. It expands educational access for economically disadvantaged students in Oregon. ONTASC’s mission is to create safe, structured classroom environments that foster meaningful relationships, impact students' academic performance and connect schools to the communities they serve. ONTASC stands for organizing new teaching approaches in school communities. As a teacher and a student, Katz is well aware of the need for change in America’s education system; Teachers are burnt out, kids are board, and we still aren’t hitting the standards we’ve set out as a nation to achieve. This business was created in 2014 as a working platform for education reform. ONTASC works in cooperation with local universities and K-12 schools to bring quality arts instruction to the forefront of education. We empower students right alongside teachers, providing them both with the tools they need to succeed together. ONTASC addresses an inherent need in schools for social-emotional learning and addresses the rising need for technology training in schools. By bringing supplementary programming into the classroom as well as after school, we expand opportunities for economically disadvantaged students. Our unique approach to learning breathes new life into the classroom, and guarantees low student-to-teacher ratios via our pre-service teaching internships, while simultaneously providing professional teacher development for in-service teachers. $10,000 will cover six months of rent in a commercial building in downtown Grants Pass, OR. This space will be used for teaching workshops, after school youth programs such as narrative writing, audio recording and podcasting, movie making, and more. ONTASC's in-school community partnership programs have been operating successfully in K-12 schools for the past three years. Adding an after school component, and having a physical space to hold workshops and events will increase revenue and profits, as the only overhead will be rent and utilities. All additional revenue can go directly to paying teachers, purchasing equipment and building ONTASC's capital. This loan will personally impact my life by empowering me to do what I love, advocating for youth, building meaningful relationships, and helping our society heal and grow new systems that work for all. Truth be told, this is the most enlivened and fulfilled I’ve ever felt in my career. I am finally getting to use my unique skill set to make a positive impact. All my life experiences have lead up to this and I feel well positioned to succeed.